Leiden, 16 January 2018 – Today Batavia Biosciences announces its partnership with an international consortium coordinated by PATH aiming to develop and manufacture safer novel oral poliovirus vaccines (nOPV). The project, funded by the Bill & Melinda Gates Foundation, has the potential to bolster efforts to sustain a polio-free world after the disease has been eradicated. With a 99% reduction in polio cases worldwide since 1988, the global eradication of polio is now in sight. 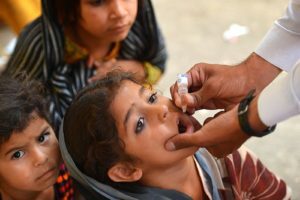 In support of the polio eradication initiative, novel oral polio vaccine (nOPV) candidates are being developed that are intended to reduce the risk from rare cases of vaccine-associated disease. The novel strains are intended to be stockpiled as protection against possible future outbreaks after polio has been eradicated. The novel candidate vaccine strains currently in manufacturing at Batavia Biosciences have been developed by the National Institute for Biological Standards and Control (NIBSC) in the United Kingdom, the U.S. Centers for Disease Control and Prevention (CDC), the U.S. Food and Drug Administration (FDA), and the University of California at San Francisco (UCSF). Batavia Biosciences contributes its extensive polio vaccine development experience and works closely with one of the world’s leading OPV vaccine manufacturers, Bio Farma, in Indonesia, under the nOPV consortium managed by PATH. Batavia Biosciences aims to significantly contribute to ease human suffering from disease by improving the success rate in the translation of candidate medicines from discovery to the clinic. We offer our novel technologies and in depth know how in order to help our partners to complete preclinical phases in biopharmaceutical product development at higher speed, reduced cost and increased success. The company focuses on the early stages of product development including mammalian cell line generation, upstream process development (mammalian & microbial), purification development, product characterization and clinical manufacturing. Headquartered in Leiden, The Netherlands, with a US-based facility in Woburn, Massachusetts, and offices in Hong Kong, Batavia Biosciences is privileged to have strong strategic partners worldwide. The National Institute for Biological Standards and Control (NIBSC) is a world leader in assuring the quality of biological medicines through product testing, developing standards and reference materials and carrying out applied research. NIBSC is a center of the UK Medicines and Healthcare products Regulatory Agency which also includes CPRD and MHRA. The Medicines and Healthcare products Regulatory Agency is an executive agency of the Department of Health. Bio Farma is a state-owned enterprise based in Indonesia. It is the only vaccine manufacturer in Indonesia and is among the few vaccine manufacturers in the world that has attained WHO Prequalification for numerous vaccines, including OPV. Bio Farma has an outstanding experience in the manufacture of OPV.